Commercial Businesses, Nonprofit Organizations, and Individuals can now purchase affordable, hi-definition, on-screen advertising at the Cinema Art Theater, the new home of independent film at the beach. Run in a continuous loop for 30 minutes prior to each screening in the Main Theater (104 seats) and JEMS Theater (36 seats). Both theaters are open year-round. 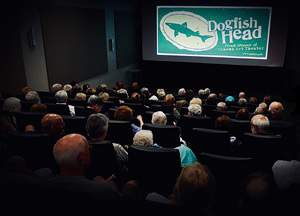 Reach an audience of attentive film enthusiasts at each screening (more than 5,000 potential customers each month) including residents and tourists. Be the best advertising bargain in the area. Significant discounts are available on 6-month and 12-month commitments. Click here for more information, rates and the mail-in form.